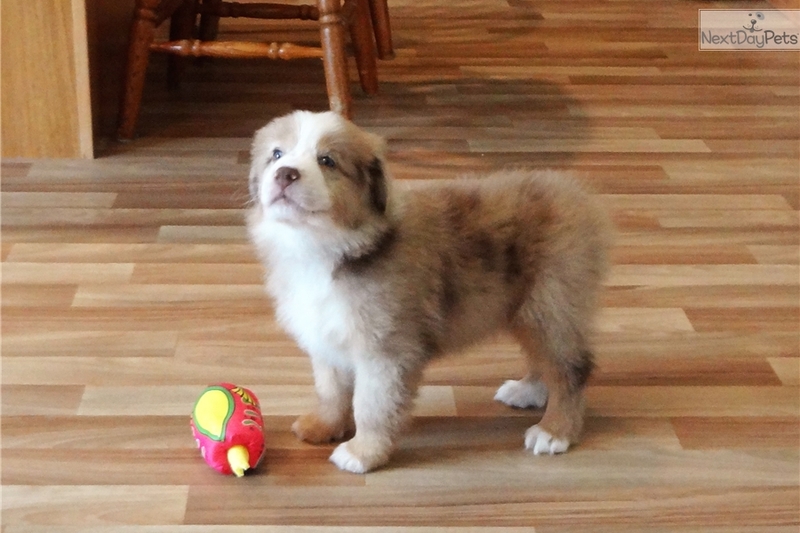 SALE PENDING Sweet Red Merle "Phoenix" ASCA Reg. 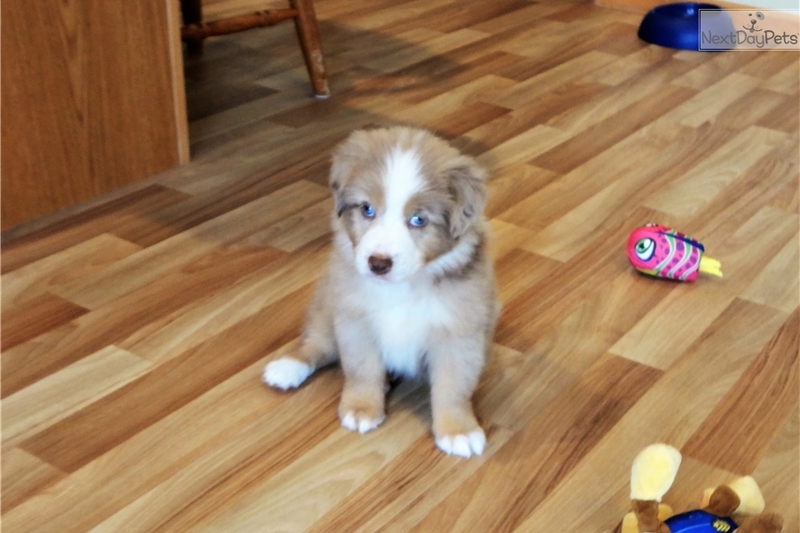 This Australian Shepherd nicknamed Sale Pending sold and went to a new family. "Phoenix" has that easy going personality, he would fit in well with any family with young and older children. He's a beautiful red merle with copper points. 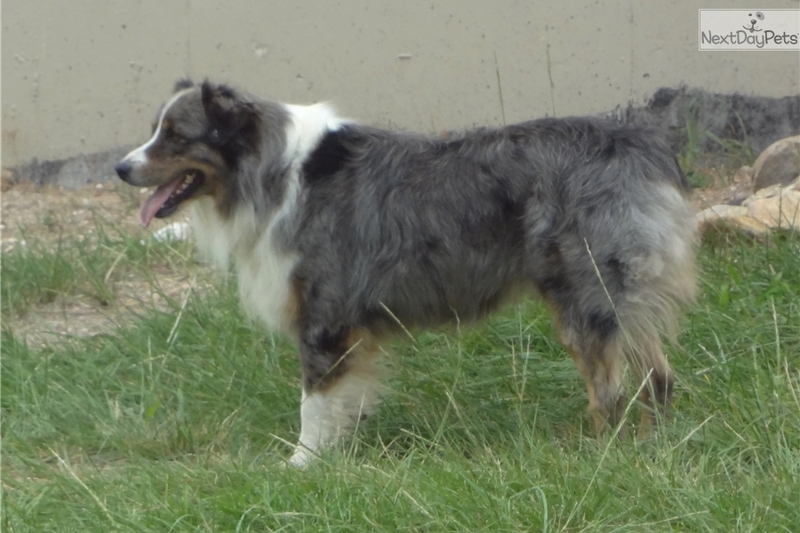 His Dad, Royal, is a gorgeous blue merle with a full white collar, ASCA&AKC Reg. and his Mom, Magic is a beautiful black tri Reg. ASCA. 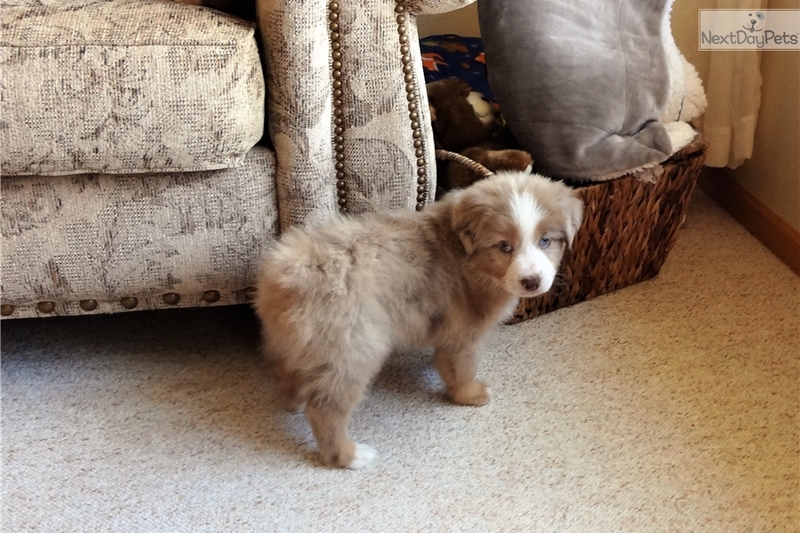 Both parents are very gentle, loving, have top conformation & excellent health history. 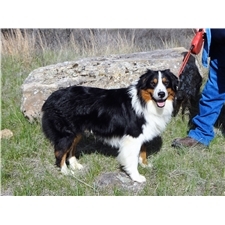 "Phoenix" should mature between 19-22" shoulder height and weigh between 45-58 lbs. This is a really nice size for an inside/outside companion and a child friendly size. 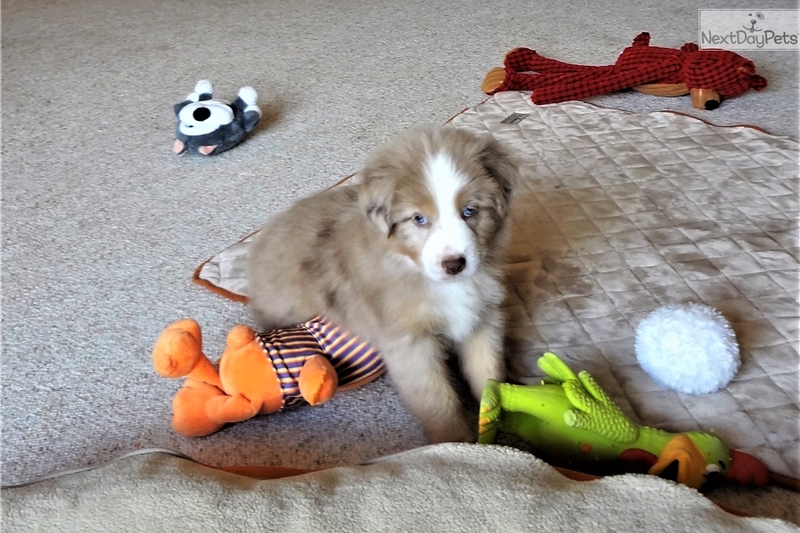 We have a true love for the Aussie breed & have been raising several litters a year in our HOME over the last 13 yrs. Our bloodlines are a combination of show and working. 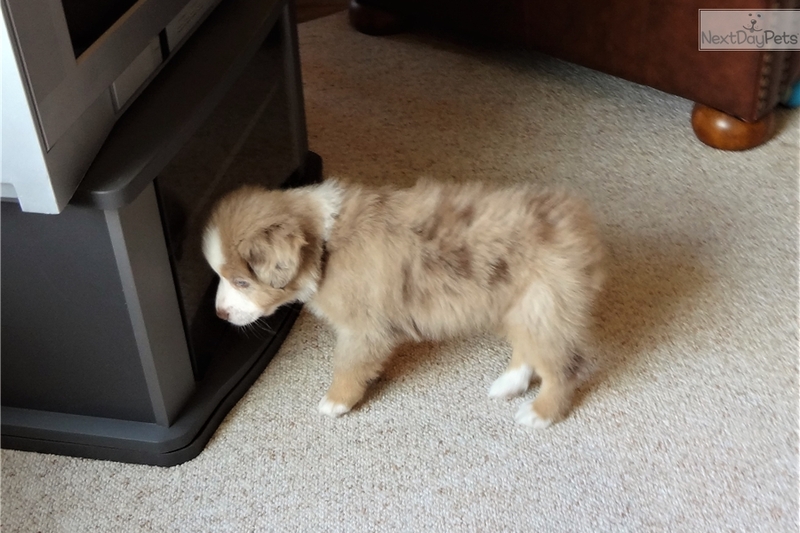 We Only raise Purebred Australian Shepherds. All our puppies receive excellent nutrition, become very socialized and grow up in a clean, bright, healthy environment. We offer a 3 yr Health Guarantee on all our puppies. All our parents are DNA'd and on file with ASCA certifying their parentage. 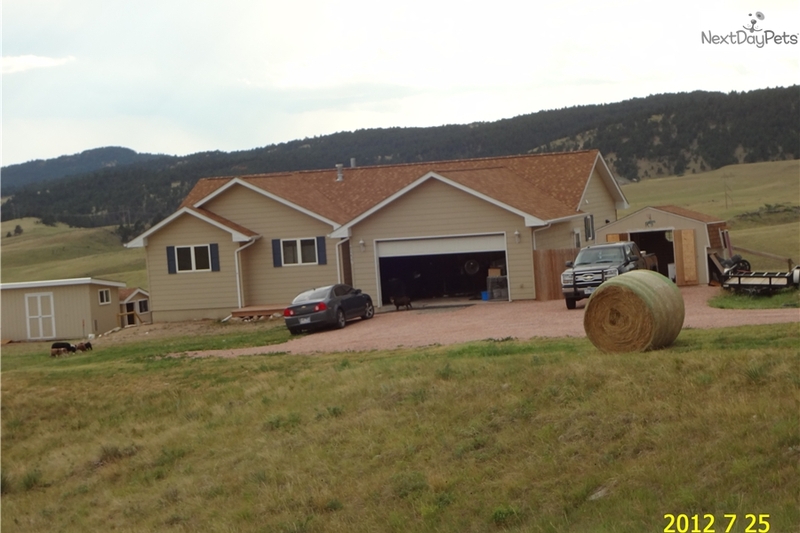 Feel free to call 605-786-2058 to learn more about "Phoenix". Many References Available throughout the US. RAussies is our facebook page.